The Flintloque release for April 2017 is here! Its a big one! The 53512 Goblin Ferach Legion gives you character packed miniatures to join up with the Elf survivors in Escape from the Dark Czar. 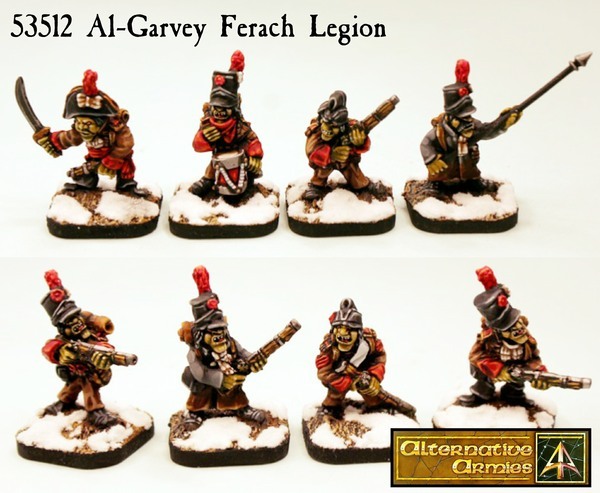 As well as the new miniatures there is a new free scenario and uniformation article to download which is in the article on our blog. Click through to more including our Salute Special Week which is coming this Friday! Our first of our Flintloque releases for the month are now online! 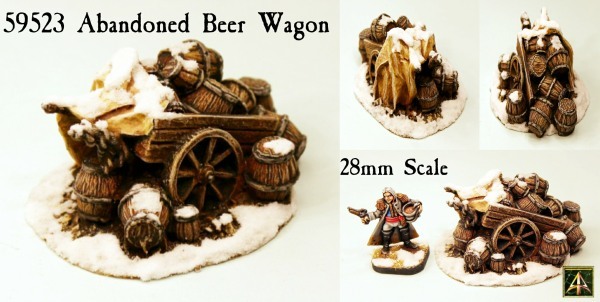 The great 1990's Grapeshotte scenic items are now re-mastered in resin and in two different packs. Single pieces, normal packs, bigger value packs. 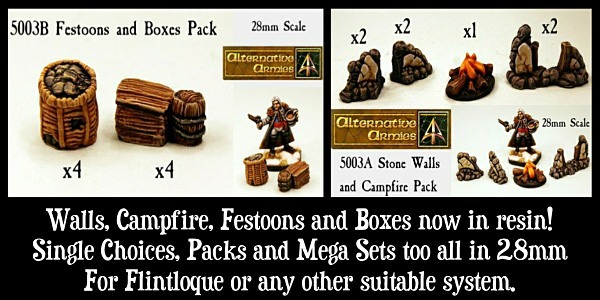 Stone Walls, Campfire, Festoon and Boxes. 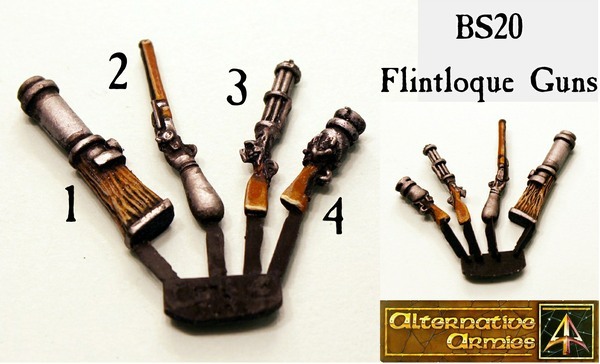 Great for your Flintloque scenarios and for black powder or fantasy battlefield clutter too. Click on through for more. 5024 Escape from the Dark Czar is now released! 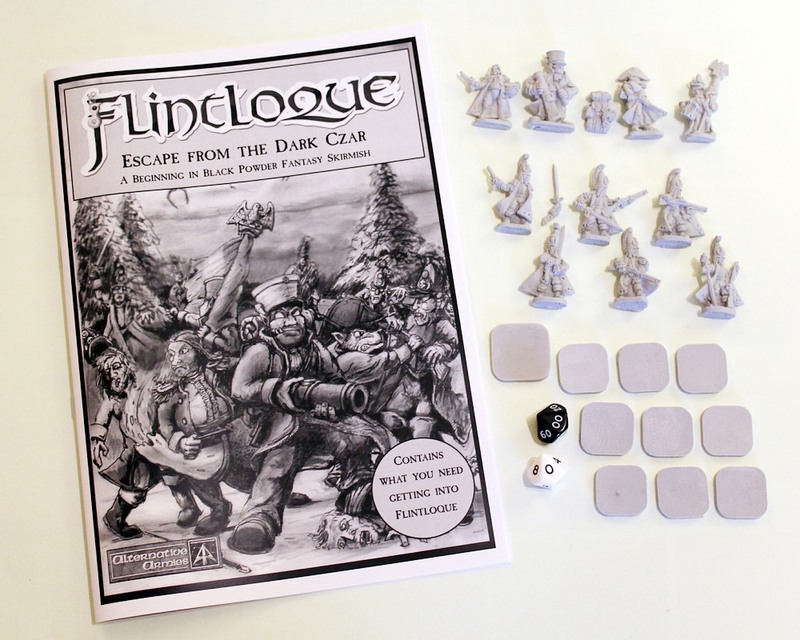 A beginners set for Flintloque the Skirmish with a core twenty page booklet along with ten new resin 28mm miniatures, ten bases and two dice. Take command of Elvish General de Brigade Hugo Saindoux and his three fellow survivors as they attempt to evade death and escape from the Witchlands. On their heels are a group of Savant Zombies, the finest Undead in the ranks of the Dark Czar led by Captain Preserovitch. Your jumping off point for getting into the Mordredian Wars in the World of Valon! Click through for more including getting the booklet as a download and the mega folder of free files!